Right out of the gate, we know what’s on your mind. Yes. Speed-networking is exactly like speed-dating. Only, instead of waking up the next morning with a pounding headache in a stranger’s bedroom to the sound of bacon sizzling elsewhere in the foreign apartment, you might instead find yourself shooting a feature film. Or writing that web series you’ve always dreamed of. Or producing a TVC for a high-end advertiser. The possibilities for new connections are endless, as the attendees of Metro Screen’s speed-networking night on May 28th discovered. 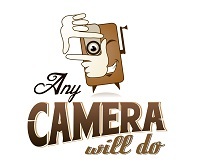 AnyCameraWillDo go to the MetroScreen Speed Networking Event! Metro Screen has become linked in the minds of the Sydney film making community with a sort of safety net of support, resources and screen craft knowledge; and now they’re helping you tackle the biggest hurdle in a business that’s all about who you know. Networking has too often been the bane of the independent or up-and-coming content producer, but with speed-networking nights, the concept is simplified. Two circles of networkers are formed, one stationery, the other moving one person to the right every three minutes. In that three minutes, the two networkers facing each other pitch their hearts out. They exchange names (and business cards – get yours made up, and get something to hold all of the ones you’re bound to receive!) and information about the myriad of projects in development and production. The process works best when the networkers are searching for a specific crew member or skill set – it allows you to be efficient and precise with your discussion. Otherwise, it’s an amazing opportunity to expand your awareness of your local film making community, and get a handle on what’s going on around town. The last night was a resounding success, with new collaborations formed and then a drink shared to cement the deal. Watch this space for information on Metro Screen’s next speed-networking night. Be sure to check out Metro Screen for info on future events and courses.